On a lone island in the North Irish Sea is the enigma that is the Isle of Man. 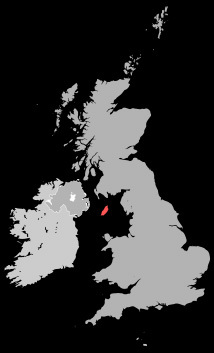 Not quite a kingdom, not quite a nation, not part of Great Britain or the United Kingdom, the Manx people have been self governing for centuries. They have their own government and their own money. They have their own language. And they have the most incredible, most dangerous, and far and away the most romantic motorcycle race on the planet earth. 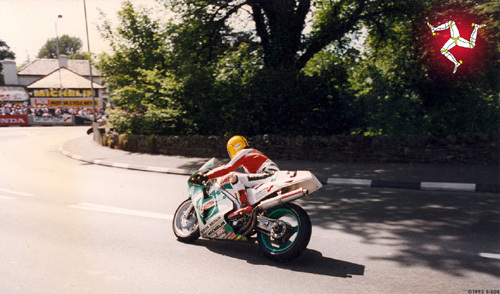 We had been reading with growing fascination for some years about this race- the Isle of Man Tourist Trophy. 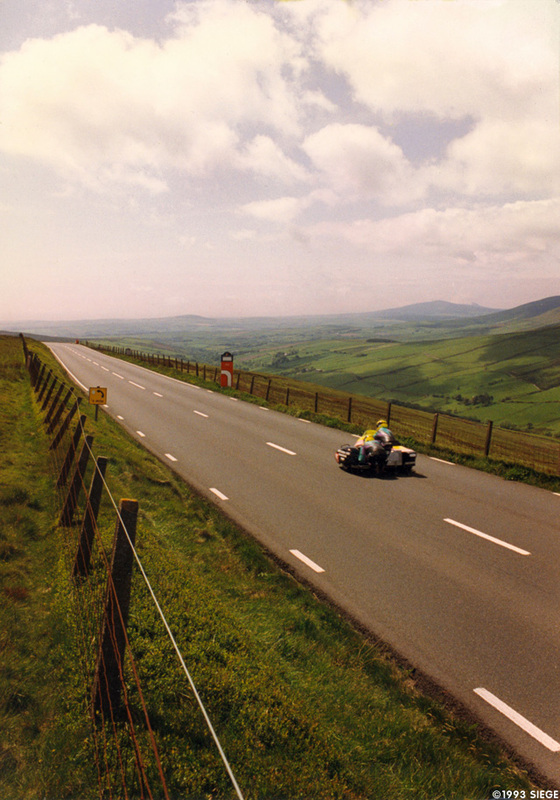 Like Le Mans, the Snaefell Mountain course is long, and snakes through the Manx countryside- and eventually over the mountain. A lap is 37.7 miles long - and the race is run on a time-trial format. Pairs of bikes leave every minute, so riders are racing unseen opponents, and cannot tell if they are ahead or behind, from moment to moment. It is rider against the Island. One day in January of 1993 Jonathan abruptly declared that he wasn't waiting anymore. He was going to the Isle of Man THIS YEAR. He said I'm getting a plane ticket. I said buy two- . I'm going with you. The charged romantic elements that make Le Mans magic are all at play here- the course weaving though a wooded countryside and through little villages with brick houses. And the race is a war, where half the time you can't see. At Le Mans you can't see because it is dark - here you are in the dark because you are alone.